Gear Check: Nike Kobe A.D. When Kobe Bryant walked off the Staples Center court for the final time as an NBA player, he left notice that he can still ball, dropping 60 in his swan song. While Kobe the player is no longer, the long running Nike signature line—which saw 11 official iterations—continues. Chronologically the 12, Kobe’s first post-playing signature model is dubbed the A.D. Whether it stands for “After Death” or something else—maybe something in Italian?—is anyone’s guess, but it will retain all the DNA passed down from the Kobe line. 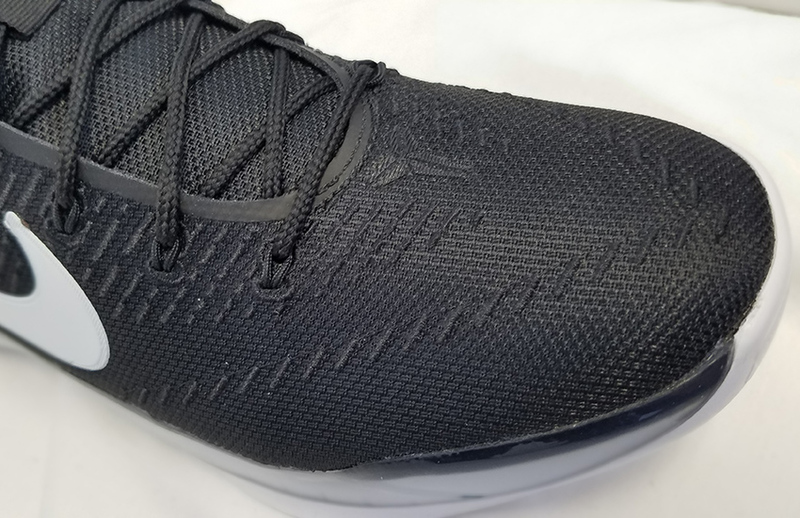 The Kobe A.D. uses a traction pattern similar to the Kobe X in the forefoot and pattern similar to the Kobe VI in the heel while using a very soft and pliable rubber. During my two weeks of playing in the A.D., I probably wiped about five times total, which is outstanding. The only times I’d really have to wipe were when the outer edges picked up too much dust. 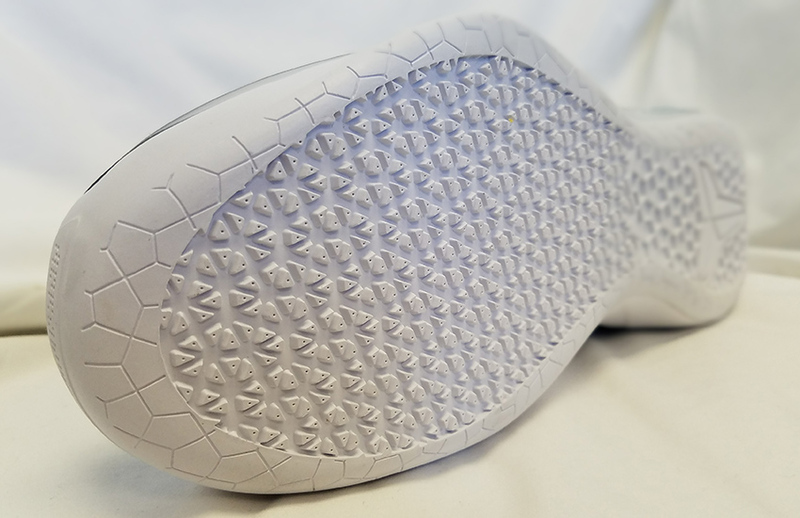 Most of the time, the micro traction—comprised of strategically placed “triangles in the forefoot to hexagonal pattern in the heel”—pushes debris away and doesn’t allow dirt to cling to the outsole. This black and white colorway features a solid outsole, while other colorways feature a translucent outsole. 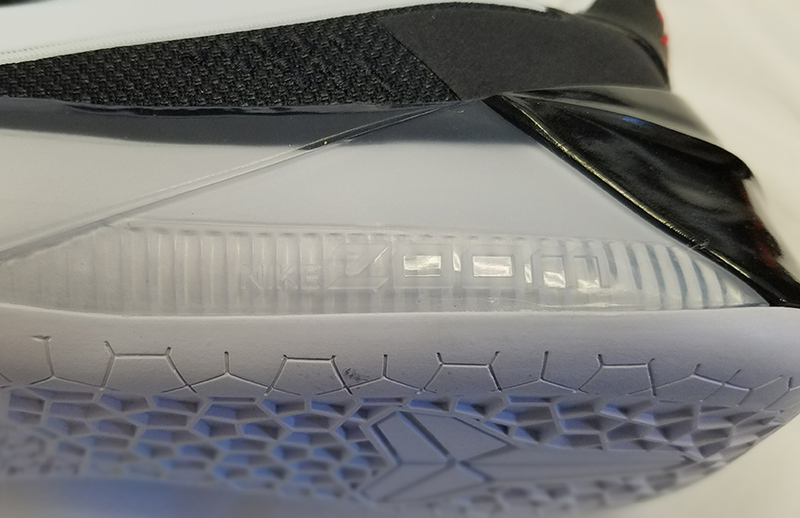 In my experience, Nike translucent outsole can get sticky and pick up dust like a flypaper, which can ruin the traction, so expect some variation depending on the outsole rubber. If traction is a major concern, stick with the conventional rubber outsoles and avoid the translucent ones. The Kobe A.D. features full length “micro-tuned” Lunarlon and a Zoom unit in the heel. For those expecting the softer ride of the drop-in insoles that the Kobe 7-9 and 11 used, be prepared to be disappointed. The Kobe A.D. setup is very different from the aforementioned models and feels much firmer underfoot. 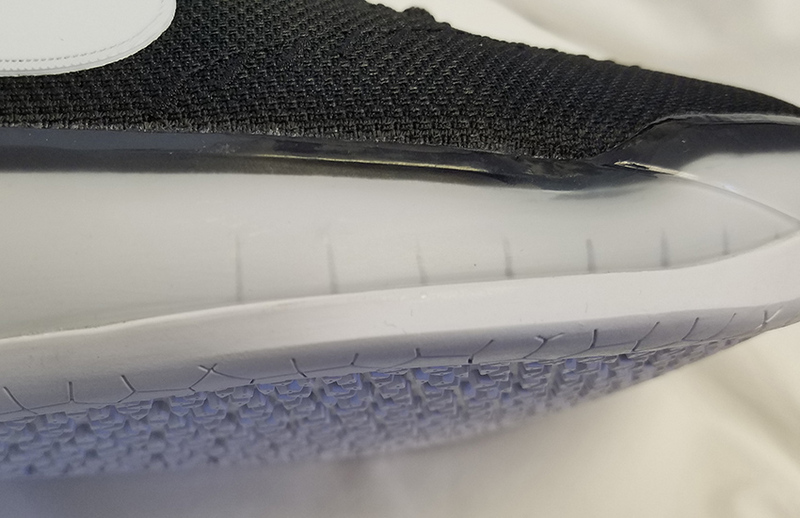 Initially, the cushioning underwhelmed me but after a few hours, it softened to provide a nice combination of responsiveness, bounce and impact protection. 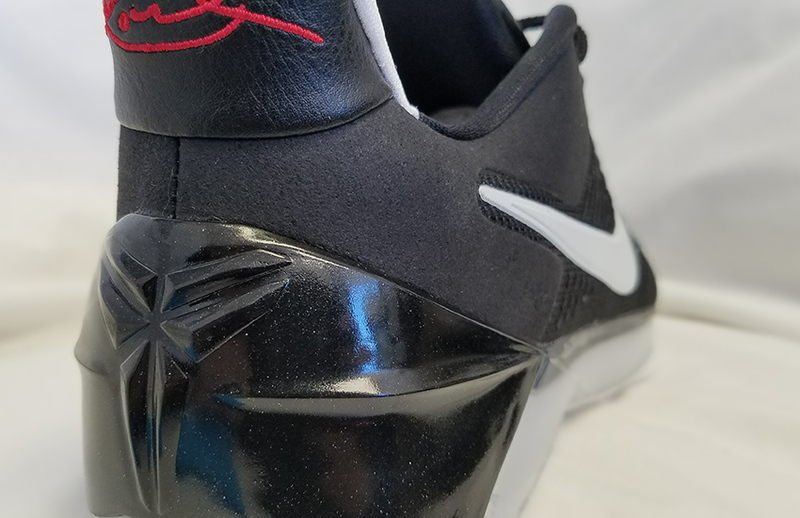 Although Nike never stated that the Zoom unit extended the entire heel, it feels deceptive that they used this faux visible Zoom window when the Zoom is actually a typical eight millimeter Zoom unit as seen below. Regardless of visual confusion, the cushioning works fine even if the Zoom in the heel isn’t what it appears. Just note that it might take some break-in time. Nike has the best lockdown on low tops, and the A.D. was no different. I went true to size and had no dead space in the forefoot and zero heel slip from the first wearing. Although I am a wide footer, my true size fit me well, but those with ultra wide feet may want to try half a size up. Nike opted to use mesh backed by foam and nylon, and while it doesn’t look or feel luxurious to the touch, it works. It took about two hours for the mesh to start flexing naturally around my foot, which is more than adequate. 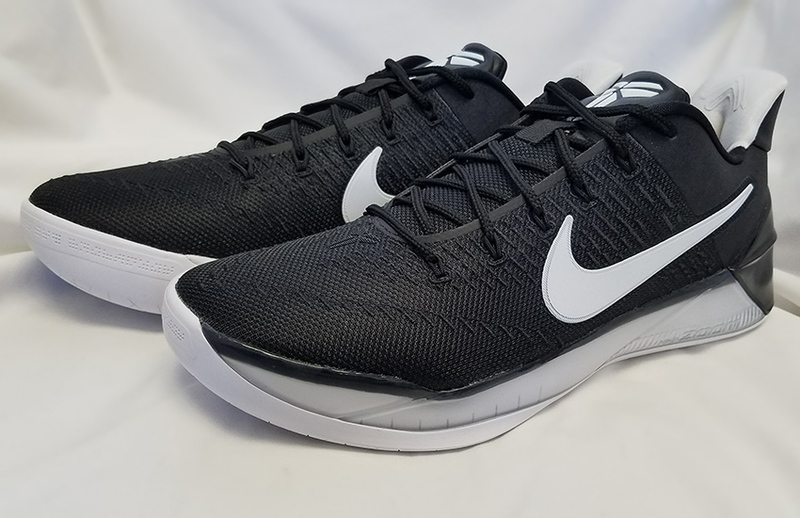 Since the Kobe A.D. is a low cut shoe, support comes mainly from the excellent fit and sturdy heel counter, which is incorporated into the midsole. 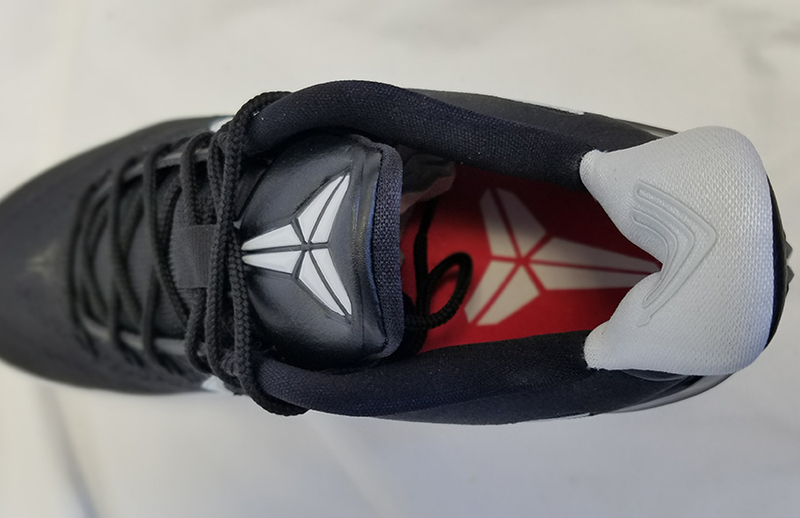 Stability on the A.D. comes from a flat outsole and this tiny forefoot outrigger, a feature that must be important to Kobe, as we’ve seen it on almost every shoe in the Kobe line. During hard cuts, the tiny outrigger would roll under the forefoot on occasion, maybe 15 percent of the time. Nike should have either made the outrigger large and firmer or moved it back about an inch to prevent it from rolling under. I have seen reports of this portion tearing, although mine stayed intact. Lateral containment was surprisingly good on the Kobe A.D. Typically, I prefer a physical barrier such as a footstay or raised midsole, but the A.D. did a decent job keeping my foot in place during hard stops or changes of direction. At $160, the A.D. is priced on the high side despite not having the latest and greatest tech specs. A bit surprising, given Kobe’s tech-driven shoes in the past and his obsession to detail. However, even without the latest and greatest, the shoe performs well overall. Maybe it’s because we’re not seeing Kobe actually perform in an NBA game in these, but the Kobe A.D. doesn’t have the feel of a premium signature shoe. Aside from the marketing that Nike usually backs a signature release with, the Kobe A.D. lacks any of the panache we’ve come to expect. The mesh and synthetic upper (while good after some break-in time) seems like a step down after premium Flyknit on the XI. The relatively stock cushioning setup on the A.D. seemed to be an afterthought compared to the insole cushioning of the Kobe 7-9 and 11. Like the upper, it’s ultimately not a problem per se, but altogether, it doesn’t scream premium. 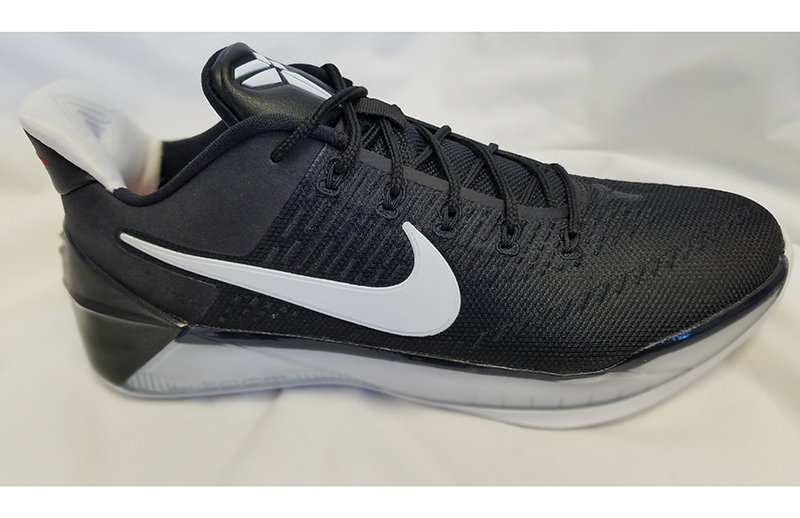 However, if you are looking for an excellent fitting low top with great traction, the Kobe A.D. should fit the bill nicely. But like the player it’s designed for, it will take a little more warm-up time before it can fully get going.